Enter a sweet world - give free rein to your imagination and the chocolate. 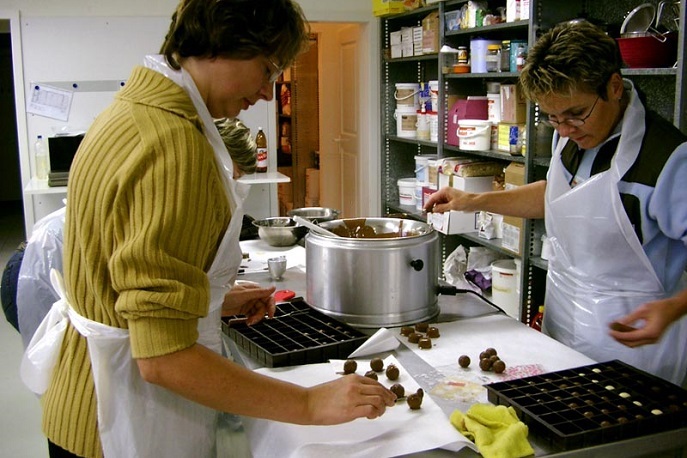 In this activity you and your team will create your very own chocolate creations in no time! Give free rein to your imagination and the chocolate! After a short introduction on the history and manufacturing of chocolate as well as an enticing sampling, you will set to work. You can create wonderful chocolate figures yourself, decorate an Easter bunny, make pralines or emboss your company logo in chocolate. Your customers are in for a (sweet) treat! If this is too sweet for you, you could always try Team cooking. Our very versatile confectioner is also a chef and would look forward to welcoming you at this event. Alternatively, you could spend half a day outdoors e.g. with the Farmhouse Olympics and enjoy the chocolate workshop in the afternoon. All materials, chocolate creations to take home with you, savoury aperitif, supervision by experts. 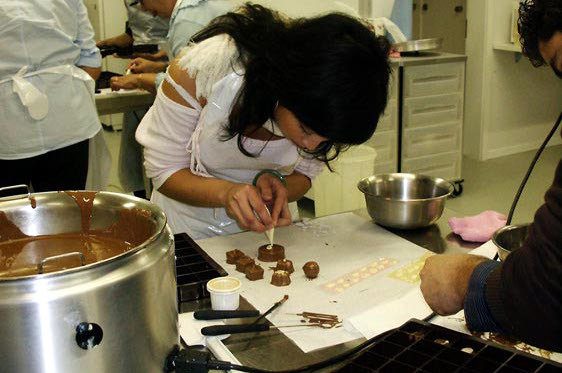 The chocolate workshop can also be combined with various outdoor events to create a good combination of indoor and outdoor activities.